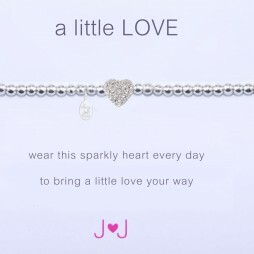 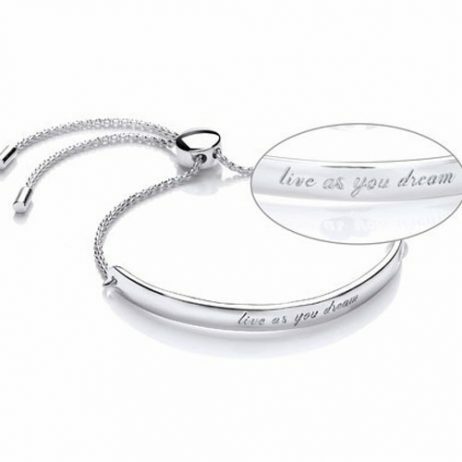 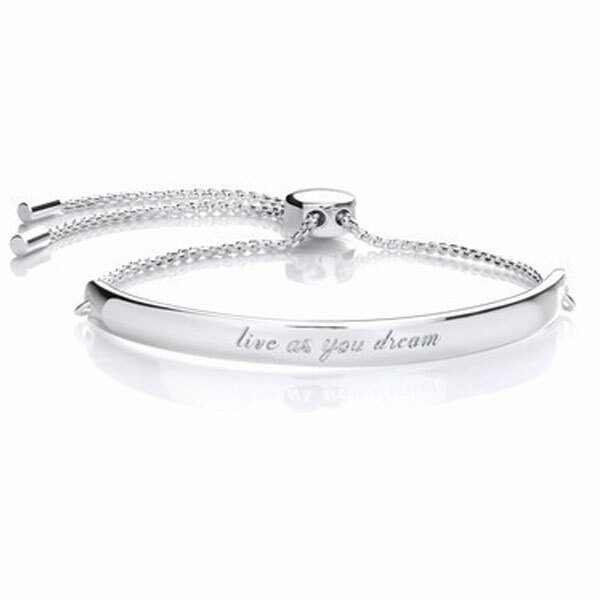 An inspiring message adorns this gorgeous Silver Plated ‘Live As You Dream’ Bangle; the engraved message gives this piece a thoughtful personal touch, ideal for gifting to yourself, or someone special! 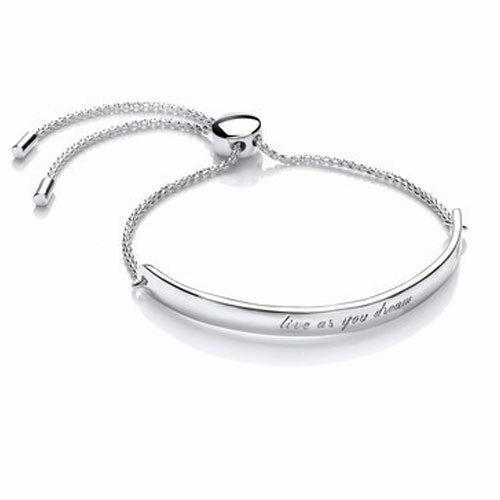 Simple in design, but giving maximum style impact are our bangles. 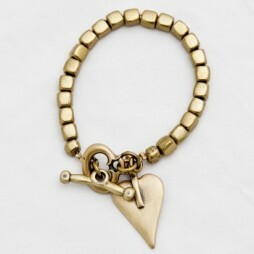 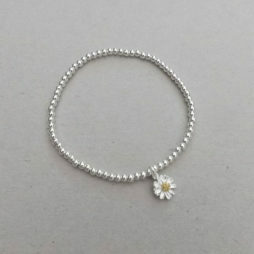 The perfect piece of jewellery for a fan of complete minimalism. 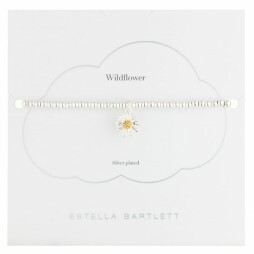 Anniversary Gifts, Estella Bartlett Jewellery, Gifts By Occasion, Gifts £0 To £20, Bangles, Bracelets, Silver Bangles, Silver Bracelets, Estella Bartlett.